I studied episodes of Rebels, as well as Episode IV and what I could remember from Rogue One (this was shortly after the theatrical release) and did some research about what could happen in the short time frame between Rogue One and A New Hope. In one of the behind the scenes clips for Rogue One the writers revealed they wanted to include Wedge Antilles in the planetary shield battle on Scarif, but realized he would have never seen it since at the beginning of the battle of Yavin he says, “Look at the size of that thing…” So where is Wedge during Rogue One? With just a few other notes, a very basic map, and a small deck of probable baddies/NPCs from the adversary decks, we were off! I’ve found the more I run this system, the better it is to provide a small sandbox like a map of a ship or facility, then literally let the dice fall where they may. Relying not only on my creativity, but leaning on the players to help interpret FFG dice results has been some of the most fun I’ve had running or playing an RPG… ever. While my actual adventure notes were pretty slim, I did a bit of research before the session to help flesh it out on the fly during the session. Researching prison facilities in Star Wars led me to discover an old Dark Horse comic called Han Solo at Stars’ End which was based on a novel by Brian Daley. I didn’t go so far as to read the novel, but I used some of the visuals to inspire the map of the exterior of the facility. The shape of the prison is a tall silo that reminded me of the cells from an episode of the Clone Wars that required floating repulsor sleds to reach them (S3E7). Beyond that, I wanted a reason Wedge and his squad were captured alive, and what better than an Interdictor cruiser to capture both ships and pilots. The first part of the session is planning the infiltration and requesting additional gear from Rebel High Command. The briefing is short on details, just the rudimentary reconnaissance scan gathered from an A-wing at long range. Mytus VII is a moon-like rock with no atmosphere and little natural gravity. I provided the squad with a choice of two available ships for infiltration: a U-Wing (with some home-brewed stats borrowed from forums) or a captured Imperial Lambda shuttle. Beyond that, they could make reasonable requests for other equipment that may be around the Yavin IV base. The playtest group requested a few speeder bikes (non-military versions, granted) and the con group requested ascension cables (which came in *very* handy). Now to plan the approach: land outside the facility and approach on foot or speeder? Land at the end of one of the tubes? Brazenly fly into one of the hangars? Any of these are options using this approach. The pre-gens I provided did not include any humans, which limited their options for posing as imperials in stolen uniforms, so both groups opted to land their U-wing (both chose the U-wing) well outside the facility and made a stealthy approach. The con team had the foresight to request an astromech droid to keep the engine running and stand by to fly in and pick them up. How they get in from here is entirely up to the table. The playtest group took out a pair of bored guards at the end of a landing tube, and stealthily made their way in to the main facility. 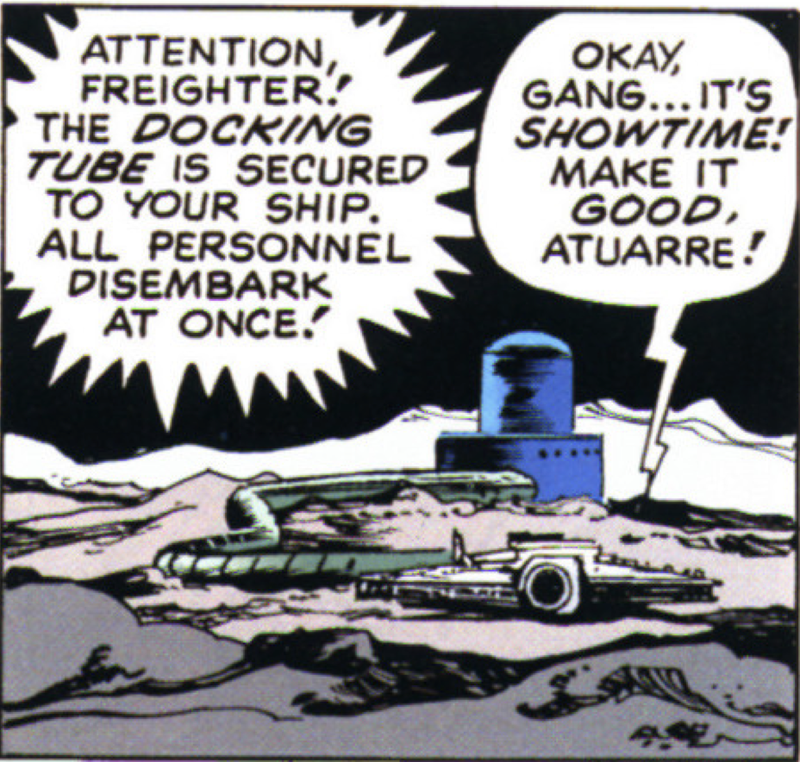 The con group set some remote explosives on the outside of one of the tubes to the hangar, and took out a gunnery crew in one of the turbolasers. The Emperor’s Snare drops out of hyperspace on the horizon. Now both the commandos and the pilots are trapped unless the commandos can board that Interdictor and shutdown the gravity wells! 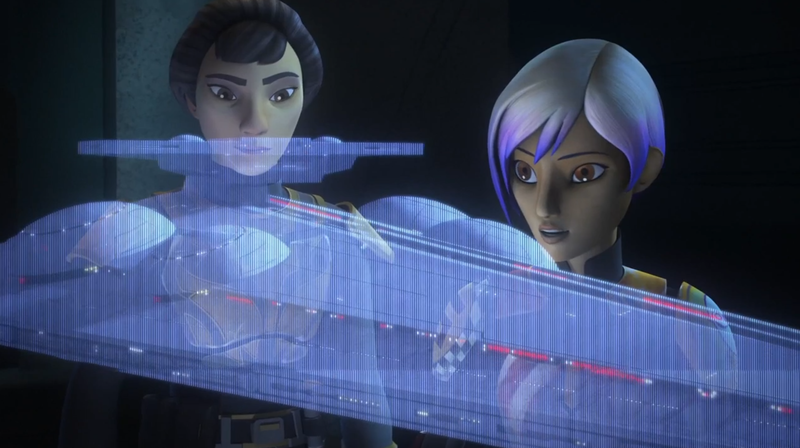 I wrote this before watching the amazing Rebels Season 3 finale in which Interdictor cruisers play a big role, but if you are looking for inspiration for this chapter, check out the end of Rebels season 3! Having run out of time both times I ran this scenario we never actually made it this far, but I would suggest more group checks for the rebel pilots while having the PCs make some daring checks to board the bridge of the Interdictor and either shut it down or (more likely) sabotage the gravity wells before escaping. If the U-wing is still intact they may be able to take that, or if its destroyed in the ensuing battle, have them find some other shuttle or escape craft in a battle to the hangar bay. In a truly Rogue 2 like twist, the commandos may be captured or even killed in the attempt to disable the Snare and ensure the pilots get back to Yavin for the battle against the Death Star! I hope you enjoy this adventure outline. I’m providing the map I used as well as six pre-gens for potential commandos below. Happy gaming, and may the Force be with you! 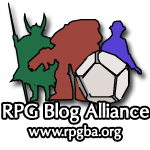 Review: Tales from the Yawning Portal March 4th! GMs Day! Mace West Preview!